This issue of FEAST is quite unique as I had the opportunity to shoot many of the features while filming for Donal’s Irish FEAST, a new television series which airs this autumn on Irish screens. The series saw us travel throughout Ireland stopping in Galway, Wexford, Dublin, Kerry and Kilkenny, in quick succession, staying in some of Ireland’s most historic homes. Needless to say we were cooking and eating some of the finest ingredients our country has to offer along the way. We couldn’t feature all fifteen fantastic producers in this issue but I know they all share the same pride and passion for quality Irish food as we do. On our journey of ingredient gathering we created a summer pudding using artisanal brioche; a fresh flavoured pea, mint and ham hock soup; Howth lobster cooked using a traditional Irish recipe; as well as some of the season’s finest Irish strawberries. 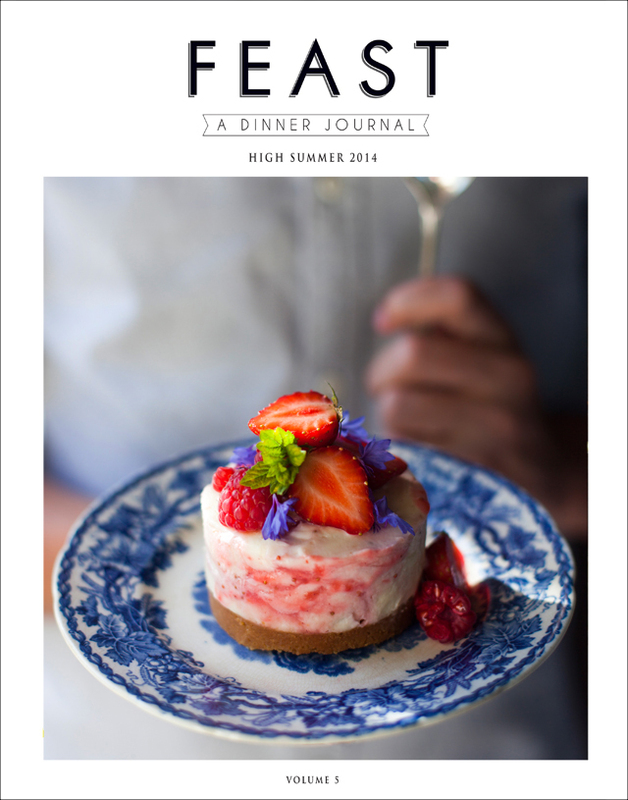 As summer draws to a close, I hope the recipes and producers featured in this issue will inspire you to make the most of the abundance of seasonal and Irish ingredients. Print copies of Volume 5 of FEAST: A Dinner Journal can be found in Easons and good food stores throughout Ireland. You can also purchase print copies online here. You can purchase digital issues of FEAST: A Dinner Journal via our app available on iTunes and onGoogle Play for Android Devices.